The Tampa Bay Rays have reached an free agent Steve Pearce on a one-year deal. The deal is pending a physical. 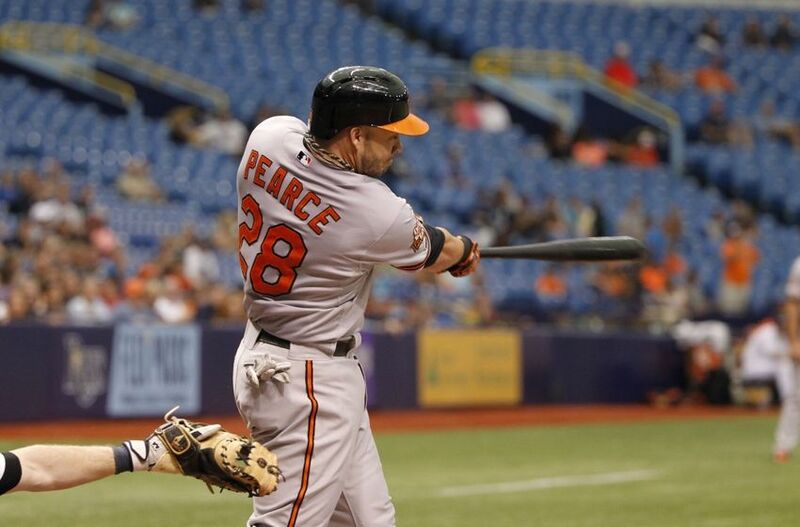 Pearce spent the past two season with the Baltimore Orioles and has hit 36 homers in 632 at-bats in that time. In 2014 Pearce had a career year when he hit .293/.373/.556, 157 OPS+, 26 2B, 21 HR in 383 plate appearances. Those number came back significantly in 2015, .218/.289/.422, 91 OPS+, 13 2B, 15 HR in 325 plate appearances. The deal was first announced by Marc Topkin of the Tampa Bay Times. Pearce hits right-handed, so he could take over for lefties Logan Morrison (DH) or James Loney (1B) against opposing southpaws. Pearce sought a two-year deal, but he viewed the Rays as a perfect match. He’s a Lakeland native about an hour from Tropicana Field. Pearce clearly likes playing at home, and has lifetime 1.039 OPS at Tropicana Field in 86 plate appearances. The Rays have yet to make confirmation of a corresponding move on the Rays’ 40-man roster.